Replies: 10 (Who? ), Viewed: 31027 times. 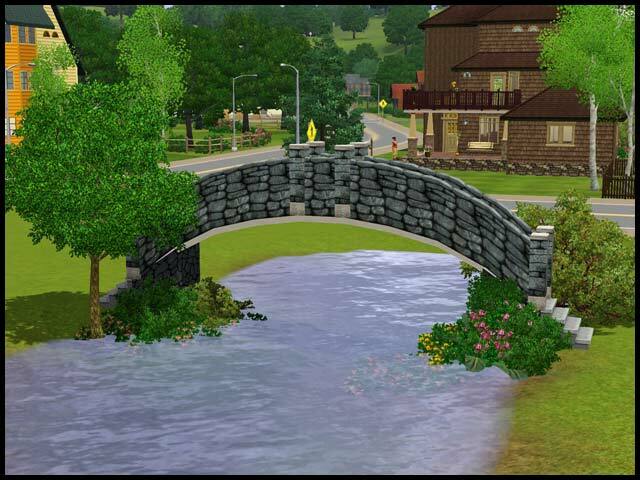 Making bridges, as you may have already found out, is slightly different to it was in The Sims 2. It's a tad more complicated, but nothing you can't tackle! Thanks for the info that this gives us! I made a bridge the "old way" and I cannot wait to try this one. I swear it took me 5 tries to get the darn thing even! This is terrific! Very easy to follow. I've downloaded 3 of your PDF's, you do a super job! I'm learning, slowly buy surely! This is a good (and very useful) tutorial, but is there another thread or tutorial of how to make bridges in Create A World? #11 19th Jul 2011 at 6:26 AM Last edited by TheFilmCast : 19th Jul 2011 at 7:36 AM.